Instagram is a 100% visually-based, free social network for all users. It contains billions of inspiring photos and videos. Even if your contents include few descriptions, hashtags or location, each will still be visually based. Instagram has evolved into a perfect visual platform for agencies; every digital agency should be making the most of it as a part of their digital marketing plan. Instagram may not be the first platform to look for your next partnership, but it can still give you an opportunity to make your digital agency more attractive for new clients or talents. You can use Instagram as a differentiator to showcase your next visual campaign. Most of the agencies use Instagram to share creatives behind their PC’s, office parties, boutique openings and company meetings and of course their works and projects. The social network is also used by digital agencies to portray behind the scenes of their latest work and highlight achievements. If you are looking for some inspiration, you can check out our list of 15 creative digital agency Instagram accounts. Jelly Marketing is an award-winning Digital Marketing & PR firm providing online ads, social media, & public relations. Highly energetic team of Jelly Marketing including experts, storytellers, tirelessly work to get their clients’ business, product and message seen and heard by the right people. Each week they post interviews with experts from the marketing industry, they answer questions that mostly asked by people and give insights. There are also sociable photos from outside the office such as house gatherings or open air cocktails. In (early) celebration of Canada Day, this week’s episode of Marketing Jam features James Connell, VP of E-Commerce and Marketing for one of Canada’s most notable brands: @rootscanada 🇨🇦 Full episode linked in bio! This interview is in partnership with @dx3canada. Innovative digital branding and marketing agency AntiSocial Solutions is helping companies expand their online presence worldwide by offering wide range of services including social media, media buying, photo, video production, branding and design, website development and consulting. When you scroll through their gallery, you will find high quality and artistic pieces from product photo shoots and photos of team members and various events. In addition to these, AntiSocial Solutions using a special agency hashtag. According to Crowd, change means growth. They offer strong creative solutions deeply rooted in principles. 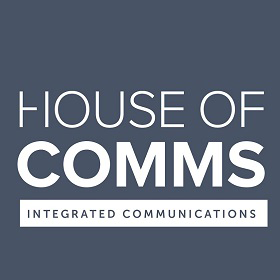 With carefully coordinated communication strategies, they help brands to grow. Crowd’s Instagram gives followers a glimpse of the agency’s work approach and creative strategy. The photos include team members’ both in and outside the office activities, job postings, awards and other fun events. Ignite Visibility is a full service digital marketing agency. They give service to clients for SEO, social media, PR, paid media, conversion rate optimization, email marketing and more. Their mission focused on providing highest level of customer service in the industry. Their Instagram reflects the firm’s identity. In general, the posts include team members, meetings and events like birthdays, yoga classes, football matches or dinners. With 15+ years experience, Bowen Media is a web design company and digital marketing agency. They are the part of digitally-fluent force that’s improving economies, shifting industries, and elevating businesses. The agency shares pictures of agency’s cat, sleek interiors, city snapshots, picnics, doughnut breaks and other leisure time activities. Growth fueled marketing agency WEBITMD delivers an engineeered approach to digital marketing that combines strategy and creative with technology and automation. In 10 years old agency’s Instagram, there are photos of core team members, workshops besides famous quotes from opinion leaders. The Charles’ team is driven by individuality and they combine the business of commerce with creativity and intelligence with detailed execution. The agency works differently from the status quo and shows that an agency can be different. Their feed is a colorful resource of design inspiration and full of artistic photos and videos besides team members and their activities in and out of the office. “Street art usually has a lot of passion behind it, it wants to leave a mark and sends a message.” We sat down with @jackiecollins_ of Fillin Global to talk street art, selling out, the rise of insta art and much more. Link in Bio. Saved by Robots is a full service creative digital agency. They are excited by great copy, passionate about colour palettes and enthused by sweet typography. Their Instagram account worths a follow for the illustrations and other design works they create for the clients. Saved by Robots team’s daily office life and fun moments are also in their feed. Edgar Allan consists of artists, enterpreneurs, journalists and musicians. These creative professionals work with big agencies, little startups and design firms. Edgar Allan’s Instagram account makes a big impression with snapshots of their energetic team, latest works, industry events and couple of other soothing natural landscape. Dom & Tom’s Instagram is an explicit example of agency life. In their account, there are photos of meetings, holiday parties, dinners and award ceremonies. How do we celebrate Dom & Tom Spirit Week? Lots of gray and orange, Dom & Tompelgängers, all the twinning, and even more winning. For almost 15 years, JTB Studios have been offering a complete solution for digital marketing campaigns. The agency have just gone through a major rebrand, and the impacts of this rebranding on their Instagram posts are great – just as a perfect colour palette inspiration in the second photo! Their Instagram profile is full of the company and team photos including client works, events both in and outside of the office and so on. Pound & Grain, help businesses with beautifully designed experiences and support these ideas with coding and good old-fashioned text based brand, interactive, social or video narratives. 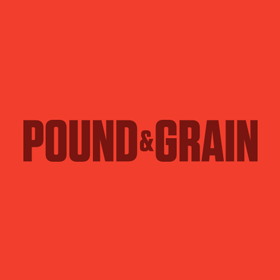 In Pound & Grain’s Instagram, there are behind the scenes photos of their recent works, neat interior design of the agency and above all team members’ written comments about the agency’s diversity policy. Huemor designs websites that your customer will remember by improving key metrics. A lovely pug welcomes us when we look at New York based Huemor’s Instagram account. There are also snapshots of their latest works, daily office life, awards they won, and dinner meetings. London based product launch marketing agency Your Favorite Story have their own special product launch formula. In their powerful team, there are 70 specialists to develop successful strategies. Featured team work, highlights from events and product photo shoots are worth to follow in their Instagram. 6S Marketing went to rebranding process and merged with partners to form Major Tom agency, a team of industry-leading specialists from across the globe. Major Tom has been serving partners from their offices in New York, Toronto and Vancouver. They combine the top-level strategy with an established consultancy and technological capabilities. Major Tom has more than 9.000 Instagram followers. The photos and videos they share are mainly reflect their digital strategy and the technology they offer to their clients. There are also few posts about happy hours, events and outside gatherings.